My Zusher always was a fresh air type of girl. She loves cooler weather and walking in the snow. 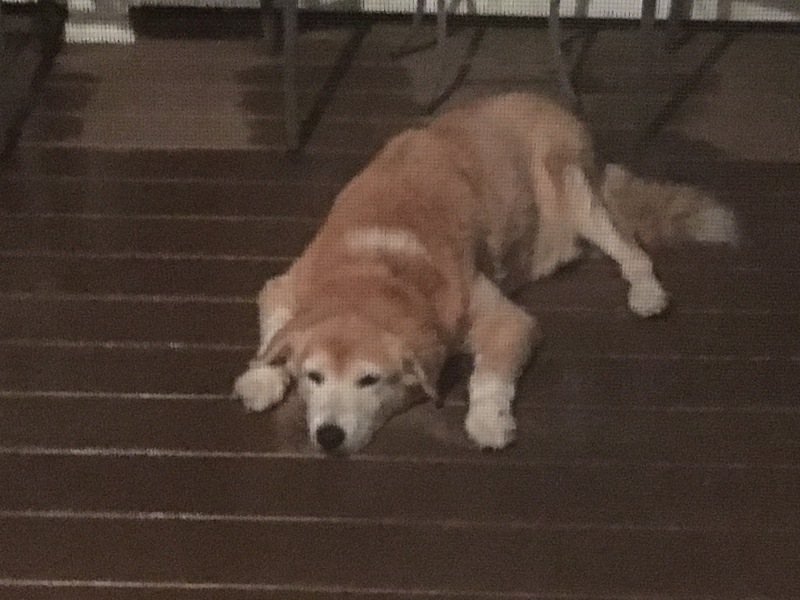 Now, since the canine dementia diagnosis, she seems to crave our back deck. The rain stopped, so she’s been laying out there sleeping. I go and check on her every ten minutes or so, but I figure she’s happy for now. Keep a good thought for the Zusher as she travels down this road with me. Such a difficult transition, Marian. Sending prayers & hugs for you & your girl. Luv ya! Part of me wonders if she is getting ready for the big sleep when she stays away from me, Sue. All echoing caring for my Mom and her dementia. Thanks for the kind words Sue- love ❤️ you!